FDM a compromise between powder sintering and stereolithography..
FDM or Fused Deposition Modeling is an additive manufacturing process known as “wire deposition” or more precisely “deposition modeling of molten wire”. 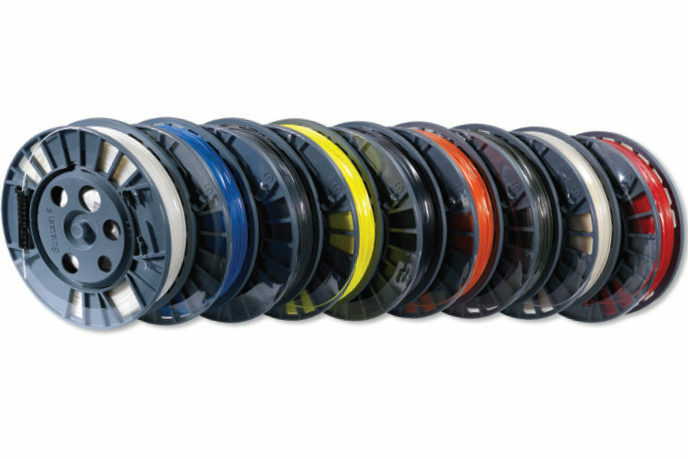 We propose to manufacture ABS parts of different colors. FDM technology is ideal for the validation of mechanical and thermal properties. This technology based on the extrusion of molten wire works on a simple principle: through a nozzle that moves on a plate, a plastic wire of the order of 1 / 10th of a millimeter is extruded and shapes the piece layer by layer. 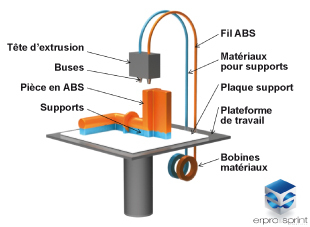 As in Stereolithography, supports are necessary for the manufacture of parts, but consist of a soluble material that allows for very complex structures. Modeling by depositing ABS threads consists in creating the object by adding material. The material used will be melted and transformed into son of variable diameter which will be deposited little by little in thin layers on a support. 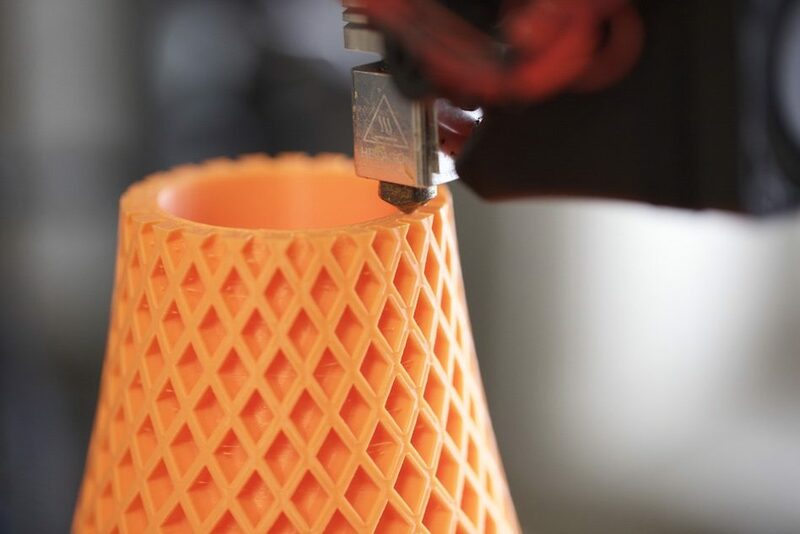 This technique requires a CAD model that is perfectly precise in the details, which will then be sent to a 3D printer that will be responsible for its manufacture. For precision work, the wire must be very thin, of the order of 1 / 10th of a millimeter.